With its 14 active military bases and 94,288 active duty and reserve members, it is no surprise that military divorces are more common in Florida than many other states. Unlike civilian divorces which are typically brought solely under Florida state law, military divorces involve both state and federal law. Specifically, the Servicemembers Civil Relief Act provides certain protections to military members from default judgments. There are several important considerations to bear in mind if you are seeking to file for divorce against a member of the military. A petitioning party must try to personally serve the service member spouse with a copy of the divorce petition and summons so that the Florida court may have jurisdiction over that spouse. If the military member spouse is currently stationed in another state, the Florida “long-arm statute” (Fla. Stat. Ann. § 48.193) provides that a Florida court may still have jurisdiction over that party. However, a petitioning party should make sure to note in their initial petition that the court has jurisdiction over the out-of-state party pursuant to the long-arm statute. Otherwise, the petitioning party risks service being determined as void if service is later challenged. Grounds for a military divorce are the same as grounds for a civilian divorce. Specifically, Fla. Stat. Ann. § 61.052 provides that a spouse may seek divorce if (1) the marriage is irretrievably broken, or (2) if one of the parties is adjudicated as mentally incapacitated for the past three years. As in a civilian divorce, a petitioning party should be sure to allege the grounds under which their petition is being brought. 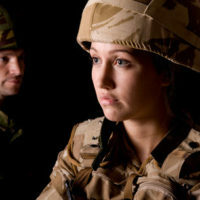 Initiating a military divorce is a complicated process with many requirements from inception of the case. It is therefore important to hire an experienced local family law attorney to ensure you meet all the requirements of your initial petition to ensure your divorce can go forward as smoothly as possible. 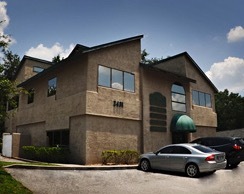 Our skilled Winter Park attorneys at Cotter & Zelman, P.A. can help you understand the requirements for initiating and moving forward with your case. Contact us today for a free case review.